INRiSC brings the banking competency of credit risk analysis to the boarder financial markets. As wholesalers of risks, banks have sound and proven credit risk analytics which are not readily accessible for non-banking institutions. INRiSC provides services to anyone requiring to determine counterpartycredit risks. INRiSC means to make a change in that respect. 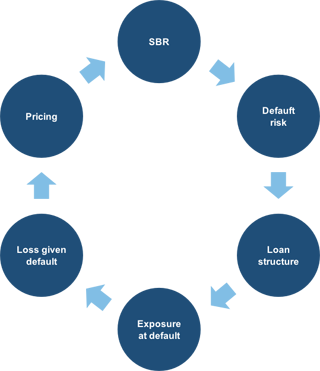 INRiSC has automated the credit risk analysis process for the benefit of the broader financial markets. INRiSC delivers credit risk analytics as a service. Through the use of standard business reporting data our service provides larger discriminatory power and comparability, especially in the space of alternative direct investments. We understand the meaning of data and get the most out of underlying information opportunities. Our risk profiling models are catered to make use of all information potential of data.